You prepare yourself for the turmoil of battle and place the Harding Steel Norman Helmet upon your head. Its conical construction will help to deflect the blows of your enemies while its nasal piece protects the front of your face. 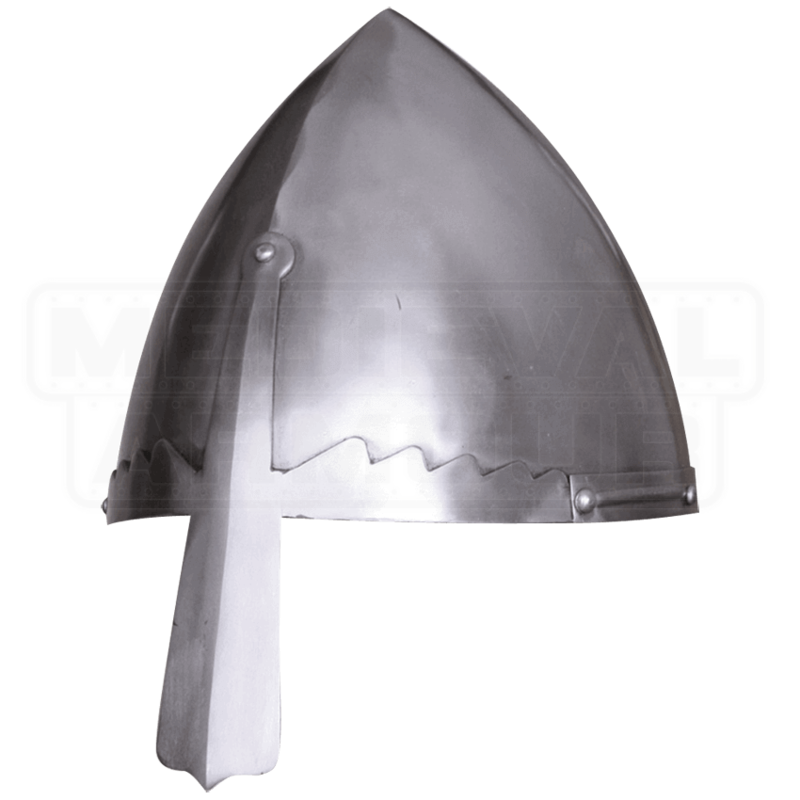 This handcrafted steel helmet takes its inspiration from typical helmets of the early to mid-Middle Ages, the skull of this historic helm reaching a distinct point at its top. A combined nasal piece and browband are attached halfway down the front of the helm, creating its characteristic appearance and offering vital protection in a skirmish. Jagged edges along the browband lend fearsome edge to its look. A fantastic choice for medieval-inspired LARP outfits and armor costumes, this historic steel nasal helm is best worn over a padded arming cap for safety and comfort.